← I can CABLE, can you? Have you ever found a pattern that you fell in love with? I have fallen in love with the hat. I needed a hat to match the scarf I crocheted, and decided on this pattern. It is relatively easy to knit and has enough texture to create interest. I found the free pattern for this hat on Leelee Knits. I will definitely be making this hat again, but may need to wait for cooler weather. 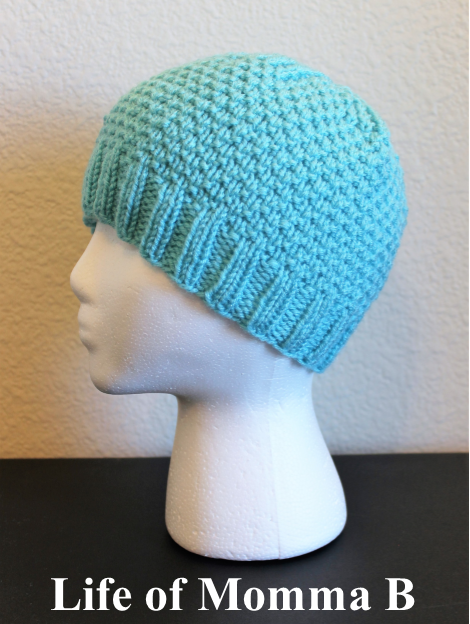 This entry was posted in Knitting and tagged free pattern, hat, turquoise. Bookmark the permalink.